Food and Drugs Authority (FDA) has warned the general public against the consumption of poorly prepared salads during the festive season. This is after a research by the London School of Hygiene and Tropical Medicine in the UK revealed at least more than 80 percent of salad foods sold on the open market in Accra contain faeces. According to the study, the majority of the salad samples prepared by street food vendors were contaminated with bacteria known as Escherichia coli which cause food poisoning. “Apart from food contamination, we wanted to know how awareness of health risk of irrigated wastewater influence purchases and consumption of food prepared with hygiene practices,” Dr. Prince Antwi-Agyei, lead researcher said. 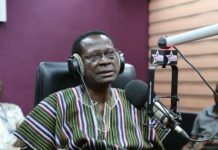 “We, therefore, interviewed 160 consumers of street food in two neighbourhoods in Accra and also 160 customers who buy salad vegetables at three central markets, also in Accra,” he added. The group recommends that public health workers would have to intensify food safety education as research reveals people who eat outside pay little attention to hygiene. 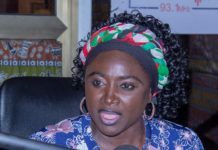 According to the head of Food Safety at the Authority, Maria Aba Johnson says the public must also take some level of responsibility for they consume. 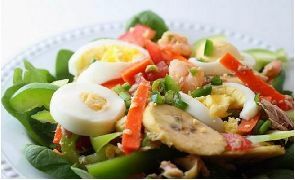 #Food and Drugs Authority (FDA) has warned the general public against the consumption of poorly prepared salads during the festive season. Previous articleBrong Ahafo Regional House of Chiefs has commended the Electoral Commission for successfully conducting this year’s presidential and parliamentary elections.